The very first thing I noticed with Zain was a huge calming aura. His voice was so smooth and soft and he didn’t react to anything I said no matter how shocking or depressing it was. He has the ability to re focus your mind with just his voice, calmly talking you back into reality and helping you help yourself. He gives you tasks to do so that you can focus on your own recovery process. One of my major issues was trust and that people tend to disappear on me. Zain is always there when I text him and call him and when we have done some work together, he always checks in on me a few days later. I never feel abandoned and that is so important when you are pouring your deepest fears out to someone. The major thing I love about working with Zain is his incredible sense of humour. It really helps a stressed situation and I can imagine that he would temper it to the client he is working with. He really does have a wonderful rapport with you and there is never any judgment. He is a great healer and genuinely tunes into his clients needs. I went to Zain with an issue to do with motivation. I work for myself – I work from home – and it’s very easy to find that you’ve spent a morning and not really accomplished a great deal. And I went to Zain to say y’know “How can I motivate myself with some of these tasks – particularly tasks I must have to avoid?” and he was really insightful of the approach and thought there was a pattern to it and it happened to be with certain types of writing tasks, and maybe there was a little bit of an issue to do with writing tasks and we worked over the course of one session to completely clear that out. And he was creative and innovative in his approach and left me feeling that I could go back to him if I needed to – but, in fact, I didn’t because the work was done in one session – um and I was left at a point where I felt entirely comfortable with doing the writing tasks that I had spent so very long avoiding and went on to do several pieces of work that involved creative writing which I would never gone for because, deep down, I was aware that this was something that I really didn’t enjoy. So it opened up the workplace for me and in fact, I’ve gone on and enjoyed writing to the point that I actually choose to do it… which is a completely remarkable thing because I wouldn’t have imagined saying that before I’d done the work with Zain! As a coach, he’s very insightful, he’s very supportive, he’s very creative in his approach – makes you feel very relaxed and buzzy. A great coach to work with. Thoroughly recommend him! I worked with Zain to get rid of a spider phobia and I was so embarrassed to having developed this spider phobia, very suddenly- and I’m a Master Practitioner in NLP, so I knew how they were formed and I knew how to get rid of them – and even knowing all that I couldn’t get rid of them myself. So I chose to work with Zain and, incredibly quickly, with so much fun, he blew out the spider phobia. 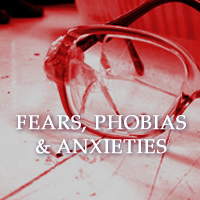 And it went from – a time before when I just been absolutely fine – in fact, even friendly to spiders – when I got the phobia I found myself flinching away from them, worrying about what they were thinking and what they were doing. And after I worked with Zain, I found that I was looking at them with curiousity and I knew – I actually knew – that we’d blown this phobia out when, a couple of days later, I went to pick up a hand towel and as I brought it up to my face, I saw a great big spider about 3 inches from my face. And I just looked at it and thought “WOW… that’s really interesting” and I just carried the towel out, took it outside and let the spider go and watched it go away. No running around like a headless chicken! Before I talked with Zain I felt my life was spiralling out of control. I felt like a ship lost in a dark stormy sea. Zain brought me back quickly and calmly into the safe waters of a sunny harbour. I can look forward to each day again. Thanks.